Lahore: As a part of Clean & Green campaign, Albayrak Waste Management engaged the students of Jamia Naeemia in its cleanliness awareness drive on Monday. The purpose of the activity was to spread the message of cleanliness and to discourage littering habits among the citizens. 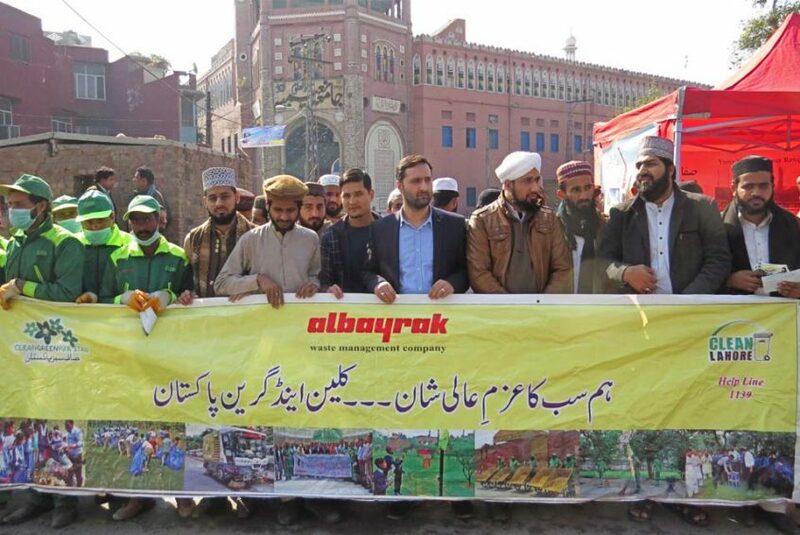 An awareness camp was established in front of Jamia Naeemia where Albayrak team along with the students distributed brochures among the residents, shopkeepers and pedestrians, requesting them to lend their hand in keeping their surroundings clean. Prior to the activity, Senior Managers Operations Albayrak Mahmut Oztunc, Mesut Deveci and Fateh Kirici supervised a mega cleanup operation in the surroundings of the mosque. Later, an awareness walk was also carried out in which Albayrak administration, students, sanitary workers and locals participated. The administration of the mosque was also requested to underline significance of cleanliness in Friday sermons.